WARREN, RI – U.S. Senator Jack Reed today announced that two Rhode Island shipyards will be awarded $1,114,370 in federal funding to make capital improvements that will help create jobs, increase economic activity, and improve their building, service, and maintenance capabilities. 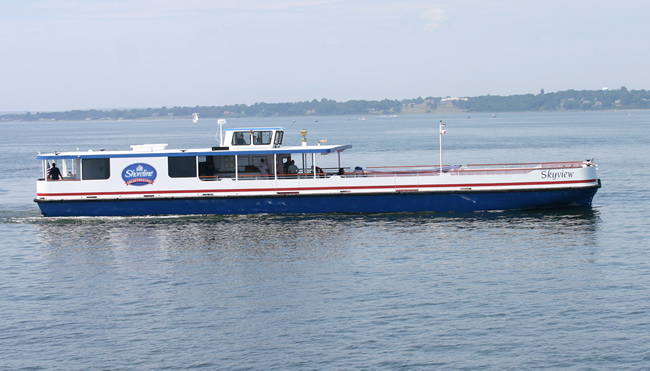 Blount Boats in Warren will receive $508,927 and J. Goodison Company in North Kingstown will receive $635,453 from the U.S. Department of Transportation’s Maritime Administration (MARAD) through the Small Shipyard Grant Program. Senator Reed, who successfully wrote the law to restore federal funding for the Small Shipyard Grant Program, says the federal grants will help the local shipyards purchase needed equipment, improve efficiency, and train a skilled workforce of contractors and welders for commercial shipyards while also supporting our military shipbuilding industrial base. Blount Boats will use the federal funds to help the company purchase a 25-ton submersible, self-propelled marine transporter to haul USCG rescue vessels due for maintenance and repair, explosion-proof lighting, blasting system, belt-sander and plate roller that will help the company make needed improvements to its hull and painting shops. The project also includes creating a series of work stations. 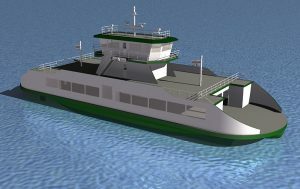 All of the improvements will help the shipyard increase efficiencies in its production capability and operations. 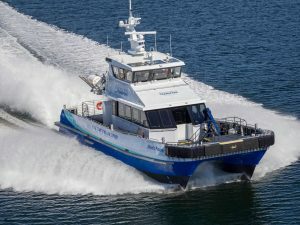 Goodison Company, a veteran-owned shipyard that provides repair services to commercial and government vessels, will use its federal grant to purchase a wash water collection and treatment system, along with new boom lifts, scissor lifts, and scaffolding towers. The addition of this equipment will allow the shipyard to expand operations and work on more vessels simultaneously. Taken together, the new investments will help the shipyard create jobs and realize increased environmental efficiencies in its operations. 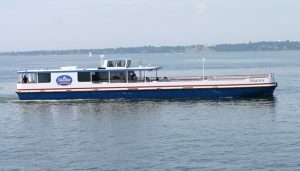 “Small shipyards like Blount Boats and J. Goodison Company help provide a big lift to Rhode Island’s economy. I worked to restore the Small Shipyard Grant Program and secure federal funds for it because it helps these businesses compete to build and service ships here in Rhode Island, bringing more jobs and opportunities to the Ocean State. 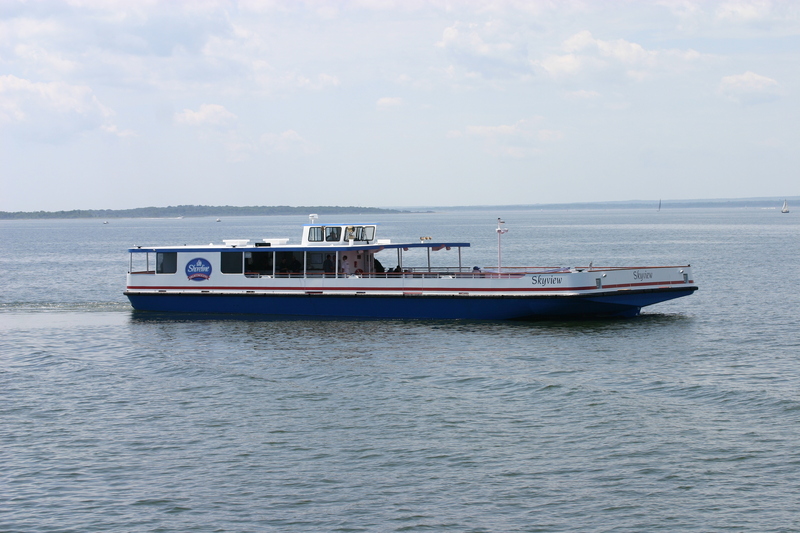 This was a highly competitive grant process with over 100 shipyards requesting federal funds. I am pleased that Rhode Island companies successfully competed for these grants,” said Reed, the Ranking Member of the Transportation, Housing, and Urban Development and Related Agencies (THUD) Appropriations Subcommittee. 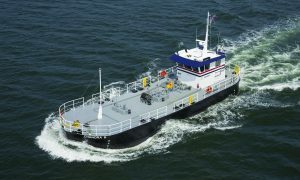 (April 13, 2016) Blount Boats & Shipyard, located in Warren, RI, has delivered the Atlantic Pioneer, America’s first U.S. Flagged Crew Transfer Vessel (CTV) for Atlantic Wind Transfers that will begin service for Deep Water Wind Block Island at the end of May. (September 16, 2015) – Blount Boats has completed the 79×23-foot bunkering tanker CHANDRA B for American Petroleum. 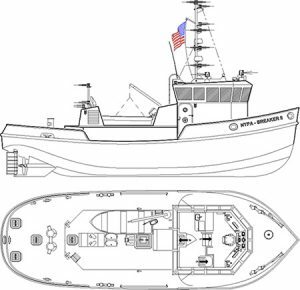 The design by Farrell & Norton Architects was built to USCG Sub-Chapter D specifications and will operate in New York Harbor and New Jersey. The vessel which will be replacing the Captain Log was delivered on September 6, 2015. Blount Boats and Shipyard is located in Warren, RI.